Thank you for your interest in the Celibre laser training and continuing education. In addition to being the most trusted name in laser skincare, Celibre is also one of the premier cosmetic laser schools in California (and the country) for nurses, physician’s assistants and nurse practitioners. Unlike laser training schools that provide only instruction, Celibre offers both classroom and hands on laser training. 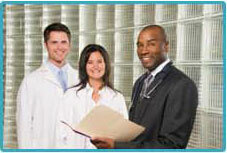 Participants will receive comprehensive instruction from experienced professionals. Whether you are an experienced cosmetic provider looking to expand your skill set or brand new to the industry, the Celibre CE program provides you with the training you need to offer your patients the most up to date aesthetic and laser treatments available. Our combination of in-depth classroom instruction and hands on laser training provides you with a valuable mix of current treatment techniques, the necessary laser safety procedures and a short background in laser physics. In addition to the lecture portion of the classes, a take home reference text is distributed that allows you to keep the skills you learned close at hand after you’ve graduated from the program. To register, please contact our office. 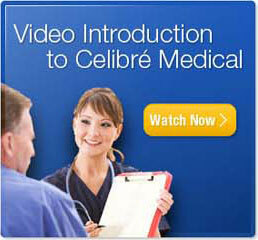 Celibre is Board Certified by the California Board of Registered Nurses as a Continuing Education Provider. Because we are one of the few California accredited laser schools, California recognizes our laser training as continuing education credits. In addition, we offer certificates of laser training. Our laser training instructors are licensed by the State of California and continue to train and work under nationally recognized experts in the cosmetic laser field. All of our RN instructors work for Celibre and perform laser treatments every day on our existing patients. When you complete a Celibre laser training class you will leave with a thorough understanding of the techniques required to ensure a positive patient experience and the confidence to move your career to the next level.